You’ve heard about having a good credit history or credit score, but do you know what that means? If you don’t, continue reading. Your credit score is a great place to start on your way to getting your finances straight. This is the first step in any good personal finance plan. 499 – 300 – Very bad, you will have a very difficult time getting credit and when you do it will be at a very high rate. It’s important to understand what goes in to determining your credit score. It’s primarily based on repaying your creditors at regular intervals (don’t be late), your total amount of credit and any unpaid bills such as the electric company. If you’ve never had a credit card or loan, your score will be low. Without any type of history it’s hard for creditors to know what type of risk you are. Don’t pay that electricity bill for months, they can and will report you to the credit agencies. Your employer also has the right to report you to credit agencies. There are several ways to check your credit history and score. This are two different things. You can request your credit history which is basically a list of everyone you’ve borrowed money from who has reported to the agency. It will show the creditor and your payment history (on time, late, defaulted). Your credit score is how well you handle your debts. Think of it like school. You take several classes, each class is made up of tests and homework. You are given a grade for a single class. All classes averaged together make up your GPA (grade point average). FICO (credit score) is similar to your GPA. To get started on your journey to wealth, use these resources to check your credit history and your score. Be warned you pay a fee to each of these, and there is an additional fee to get your score. There is a free resource you can use once annually. The Federal Government passed a law some years ago stating these agencies must provide this information for free once a year. TransUnion (www.transunion.com): fee ~$30, varies, additional fee for credit score. You can’t go wrong with any of these agencies. All four of these resources have the ability to pull reports from the others. For example, if you choose Equifax, they can pull from Experian and TransUnion as well to provide a complete history. 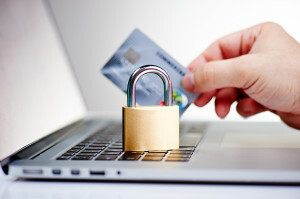 They also all offer credit monitoring services. I suggest if this is your first time you pull them all because one report may have something the others don’t. I pull my credit history and score a couple times a year. The next step is cleaning up anything wrong on your report, regardless of your score. Your credit score is also dependent on whether you are using the FICO or Vantage Score. My 720 credit score looks pretty solid according to FICO, but with Vantage it gets a grade of “C” at best. That’s because the Vantage Score is on a scale of 501-990, with 990 being the highest you can get.